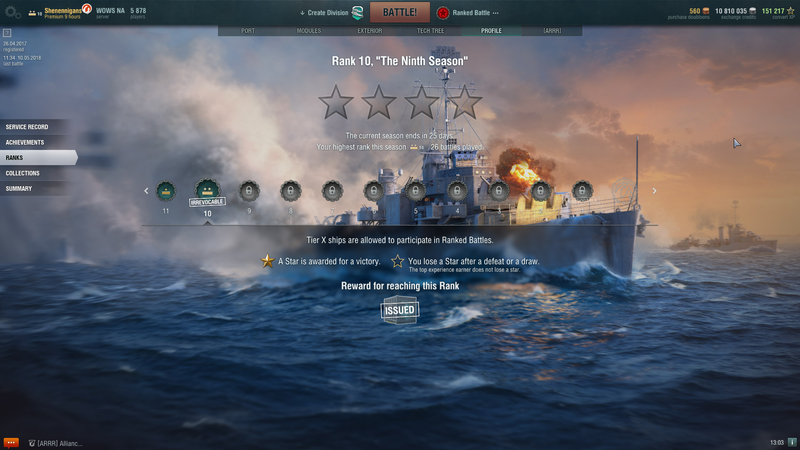 I'm pretty upset by the T10 after rank 10 thing. I know, it's my fault for being late to the party, my fault for playing multiple lines instead of grinding an arrow-straight course to a T10... it still seems like crap though. It took me 26 games to get to rank 10. That's it. That's like two more games than I needed stars to get to this rank from where I started this season. This is the first confirmation that I've had in this game that I am getting to a competitive level, and I don't get to test those limits because of the first ever ranked arbitrary tier change. What if I had gotten rank 1 twice before, and my streak gets broken by this? It just seems like a bad decision for a lot of reasons. So you're complaint is that you don't have a T10 to go on then? Count yourself lucky then. You might had noted that the ranks are irrevocable from 16-23. Even from R11-R15, you get an extra star which speeds up advancement. From R10 onwards, you get no extra bennies. Save for R10 which irrevocable.